Kind of ok, but not great. 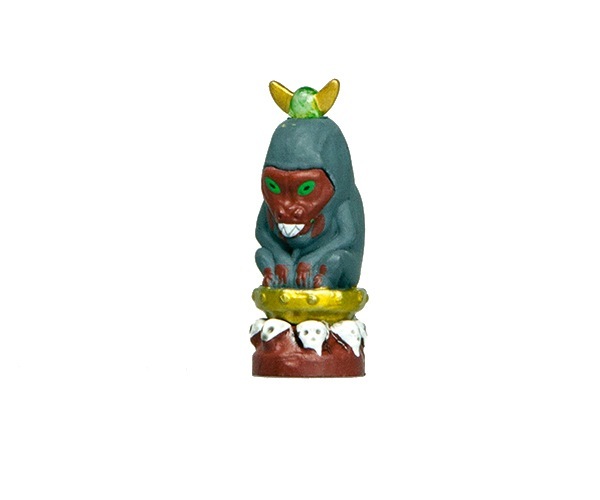 You could use this little guy for an idol or for a small ape monster that you stat up yourself. 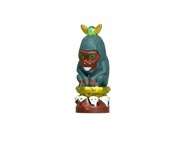 The translucent green gem on it´s head is very milky on mine and the painting is so so but at least it is solid and does not fall over. Only worth the price in a Mwangi adventure. Sign in to start a discussion about Pathfinder Battles—Dungeons Deep: Angazhan Idol!